With most perennials, when the last flower fades, it's "bye-bye...see you next year." 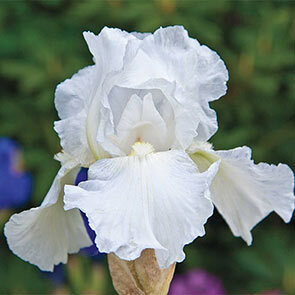 But with Breck's® Double Delight Reblooming Iris Collection, you can skip the sad farewells. We've already told you that these incredible iris rebloom, but there's a lot more you should know about our Double Delight Reblooming Iris Collection. 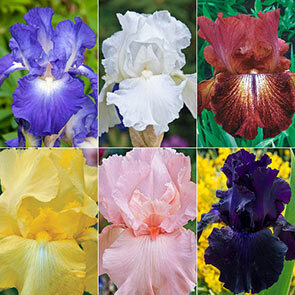 The six varieties that comprise this incredible reblooming iris assortment were selected because they perform exceptionally well in North American gardens and deliver all the characteristics most cherished by iris lovers. 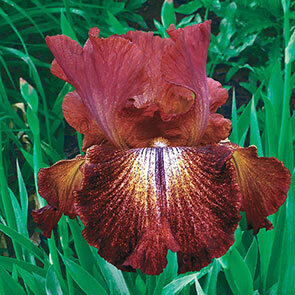 Foliage: Those recognizable glossy green "fans" are as ornamental and striking as the blooms themselves. 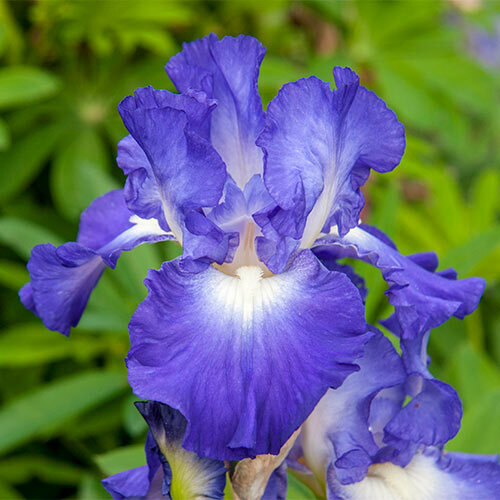 City Lights: Violet-blue standards and falls feature a glowing white centre and beard. City Lights looks lovely when planted near flowers with red or pink blooms. Multiple award winner with slightly scented flowers. 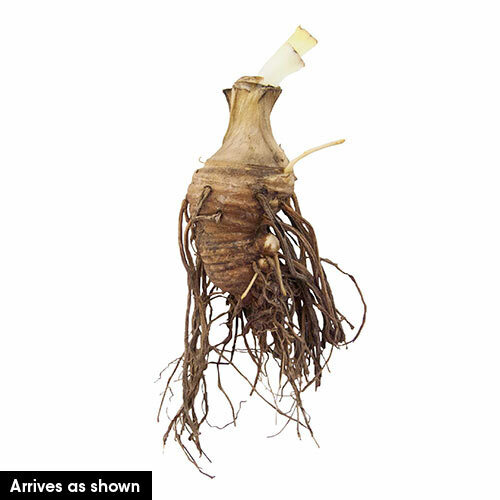 Its fragrance and beauty make it ideal for use in displays and bouquets. Grows 37" tall. Paprika Fono's: A uniquely coloured rebloomer, named for its earthy, spice-inspired colouring! Lightly ruffled, reddish-brown petals have a creamy yellow centre highlighted by bright orange beards. These warm tones are a nice surprise in spring, and fit right in when they reappear in fall. Grows 36" tall. 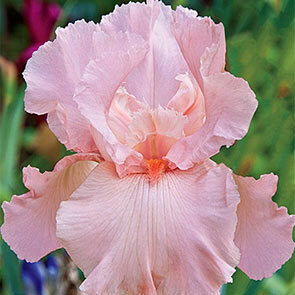 Jennifer Rebecca: Rippling, rose-pink petals are tinged with lilac and accentuated by rich orange beards. 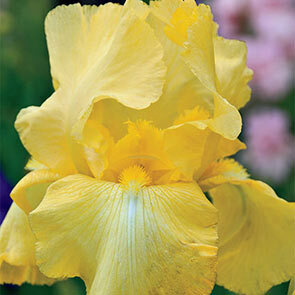 Large 4½–5" blooms have a slightly sweet fragrance and a bit of lacing on the edges. A great companion to Oriental poppies, dicentras, lupines and early roses! Grows 35" tall. 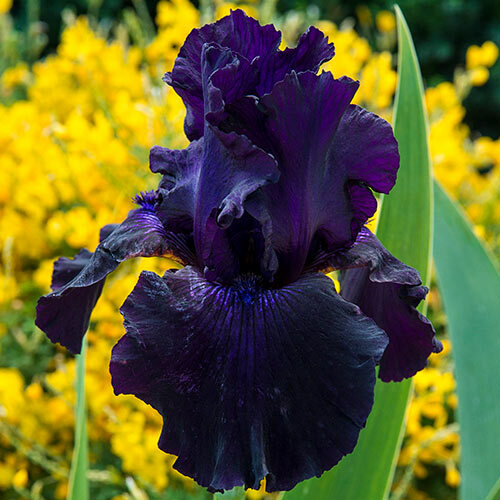 Ozark Rebounder: Dark-coloured rebloomers are hard to find, but irises like this 2009 Award of Merit winner are exactly why we keep looking! 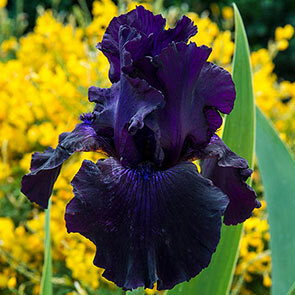 This striking variety flaunts royal purple, artfully ruffled blooms overlaid by velvety, near-black veining. Grows 34" tall.